I recently stumbled across The Way We Die Now in the new books section of my local library. I hadn’t heard of it or its author, the Irish gastroenterologist Seamus O’Mahony, and I couldn’t find any reviews in American publications. Intrigued, I checked it out. It’s one of the more insightful—and simultaneously annoying—-of the long list of books about death and dying. The author makes several observations that are worthy thinking about. First, he says that dying is inherently messy and distressing; our attempts to sanitize it with what he calls the “syringe-driver” (Britishese for a “pump,” a way to deliver opioids such as morphine intravenously or subcutaneously or even directly into the central nervous system in a continuous, steady fashion) or with physician assisted suicide are vain attempts at controlling the uncontrollable. Second, and on a related note, he mocks the insistence by some that dying should be an occasion for “personal growth;” there’s nothing uplifting about dying and it is seldom an opportunity for repairing longstanding personal rifts. Third, he derides all self-proclaimed “death experts,” by which he principally means palliative care physicians, although he regards proponents of “narrative medicine” as similarly tainted. While acknowledging some of the contributions of palliative medicine, such as better pain control and the development of inpatient hospices, he feels strongly that the medical care of the dying should remain in the hands of primary care physicians. Death is messy: O’Mahony discusses the writings of several public intellectuals, Philippe Aries, Ernest Becker, and Ivan Illich, on this subject. Aries, writer of the monumental history, Western Attitudes Towards Death, O’Mahony describes as a “romantic reactionary who looked back to an idealized, pre-industrial past” because he yearns for a peaceful death, at home, surrounded by family. Becker, author of The Denial of Death, argues that fear of death is the essence of being human and that each individual must sublimate his or her “fear of extinction with heroic projects designed to transcend death.” And Illich, iconoclastic writer of Medical Nemesis, laments the medicalization of death, exhorting us to “learn to cope” with the external constraints on the human condition. I also was deeply influenced by these three writers: Aries because the historical perspective helps us see that the way things are today isn’t necessarily the way things have to be; Becker because I agree that the idea of an “immortality project” is tremendously useful for those of us who are aware of our mortality and don’t believe in an afterlife; and Illich because he opened my eyes to the notion that our world is excessively medicalized. 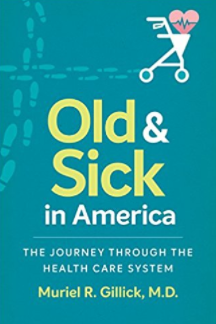 Thanks to Aries, I have sections on history in many of my books—including my forthcoming Old and Sick in America, where I use an historical perspective to demonstrate the power of the Medicare program to shape the experience of illness. In homage to Becker, I called my last book, The Denial of Aging. And one of my earliest articles, a critique of the modern nursing home, decries its medicalization. 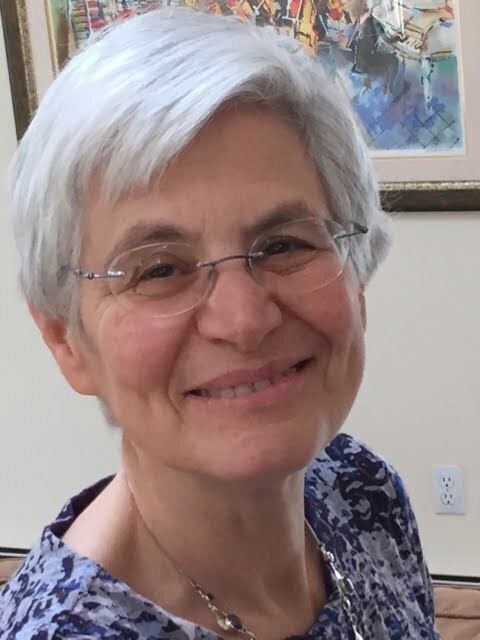 I share with O’Mahony the view that death today is over-medicalized, that we shouldn’t expect to control the exact time and course of our dying, and that the clergy (including secularly oriented chaplains) and social workers are as necessary as medical doctors. We shouldn’t leave death experts in charge: Palliative care increasingly sees itself as the specialty that is uniquely able to communicate, to break bad news, to help patients fill out advance directives, and to control pain and other symptoms. I am not as cynical as O’Mahony about the importance of communication and the possibility of physicians learning to be better at it—he drips with disdain as he asserts that “one of the more pernicious myths of modern medicine is the notion that a doctor with ‘communication skills’ and a sympathetic manner can somehow magically transmute bad news into something palatable…” Yet at the same time, he acknowledges that the “Liverpool Care Pathway,” an algorithm for caring for dying patients in British hospitals that was done away despite its many successes because of lapses in communication: “poor communication was at the root of virtually all complaints about the LCP.” And I think O’Mahony is mistaken when he ridicules the idea that breaking bad news is a special skill—the issue isn’t that when done well, patients accept the news with good grace; rather it’s that when done badly, patients feel abandoned, frightened, and angry. Finally, I share O’Mahony’s concerns about instructional advance directives—documents that purport to dictate exactly what medical procedure will be done in particular circumstances. He writes that “advance directives perpetuate an illusion that we can control, in minute detail, our treatment of an unpredictable illness at some unknown time in the future.” But to confound advance care planning, which can focus far more broadly on goals rather than on the specifics of treatment, with advance directives, that are either uselessly vague or excessively specific, is profoundly misguided. That said, I agree that palliative care principles—a view of the end of life as necessitating far more than just medical care, a belief that patients and families need information and guidance to be provided by a kind and compassionate professional, and a recognition that physical symptoms can often be ameliorated if not ablated---should be an essential part of what all doctors do. So ignore the misunderstandings about the American health care system—O’Mahony says that nearly half of Americans die in hospice care because insurers discovered that “it saves money” and is seemingly unaware that this is predominantly home hospice, not institutional hospice, and that tthat the work from Mass General showing that early palliative care prolongs life in advanced cancer said nothing about cost. He likewise thinks that “in the US” death with dignity “has become a euphemism for euthanasia” (it hasn’t). Try not to mind the ridicule he heaps on both dignity therapy and narrative medicine, which he accuses of advocating that physicians take on a “quasi-sacerdotal role.” Appreciate instead the nuggets of truth: a physician’s job is the treatment of illness (not spiritual malaise or existential angst); the syringe-driver (or morphine pump) “allows for a softer, less frightening, final agony;” “palliative care should be at the center of what all doctors do;” and physicians should treat patients with kindness, courtesy, and yes, dignity.